The fourjoy is a wacky four-seater open-air concept that is obviously too crazy for production but probably gives us a hint as to the look of the new Forfour due out next year. The fourjoy is powered by a 55 kilowatt electric motor with a lithium-ion battery pack. 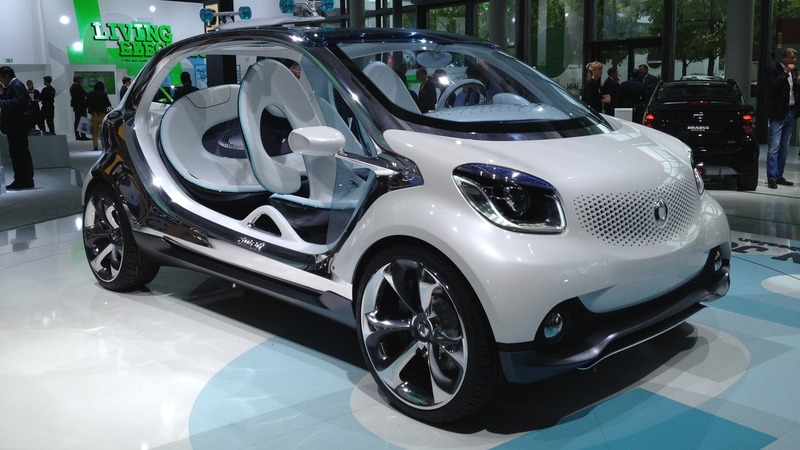 It’s the same motor out of the production Fortwo Electric Drive.